When I won a little Instagram comp from Gran Luchito, I was sat on a train at the time and may have done a little smug fist bump to myself! 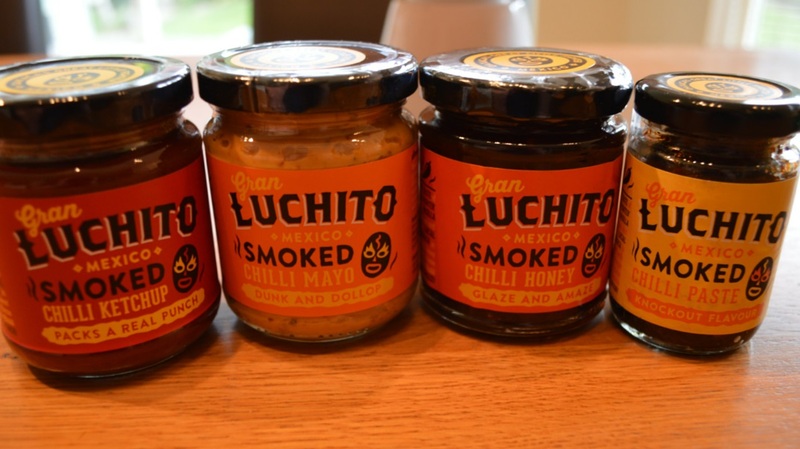 Anyway a few days later they sent me a parcel of their smoky Mexican goodies. I admit, although I’ve known about this brand for quite some time I’d never managed to try anything from the range so I am really making up for it now and am a firm convert. Initially drawn to the packaging the product more than lives up to it. The pasilla Oaxaca chilli in it is deep and smoky rather than chokingly hot; right up my street. 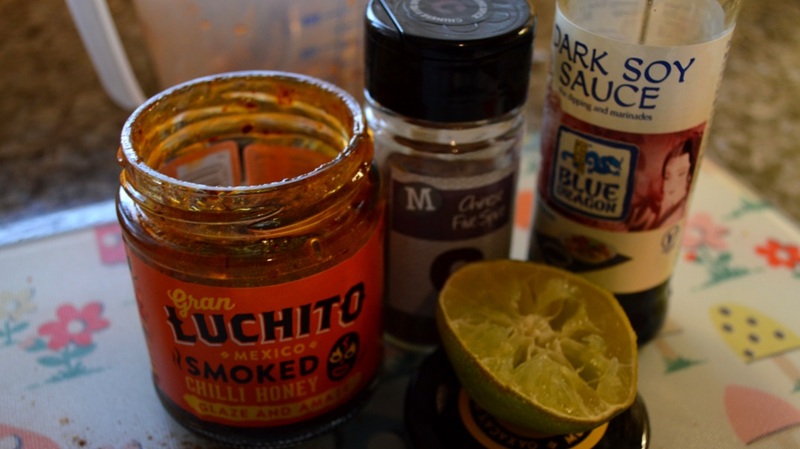 Although the range is Mexican as soon as I saw the smoked chilli honey I knew it would form the basis of a more oriental flavoured dish. You know those chicken drummers you get in supermarkets with marinades on them, made out of goodness knows what? We’d had some of the Chinese ones on the barbecue a few days earlier which were meh, ok, but my version is easy and tastes a million times better. And all the bits were already in the cupboard. They’re not authentic Chinese food, just finger licking goodness with a spiced kick. I’ve oven cooked them here but you will find me barbecuing them the next time the grill is fired up! 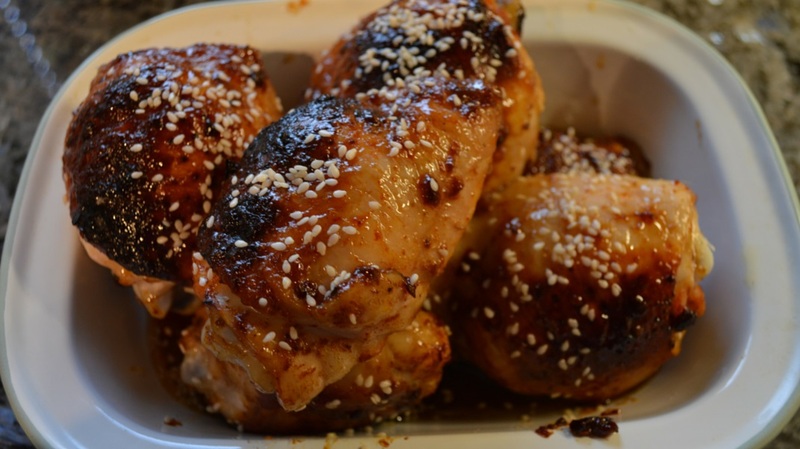 Sprinkle with sesame seeds before serving for crunch. Serve with plenty of napkins for sticky fingers! 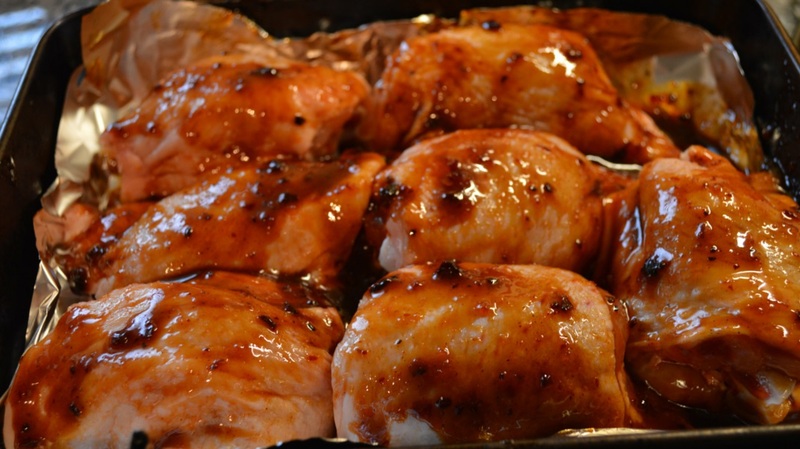 If you’re BBQing them, you may want to start them off in the oven, for say 15 minutes, and then put over the BBQ to finish. That way you can be sure that the chicken will cook through and that the honey won’t burn black! 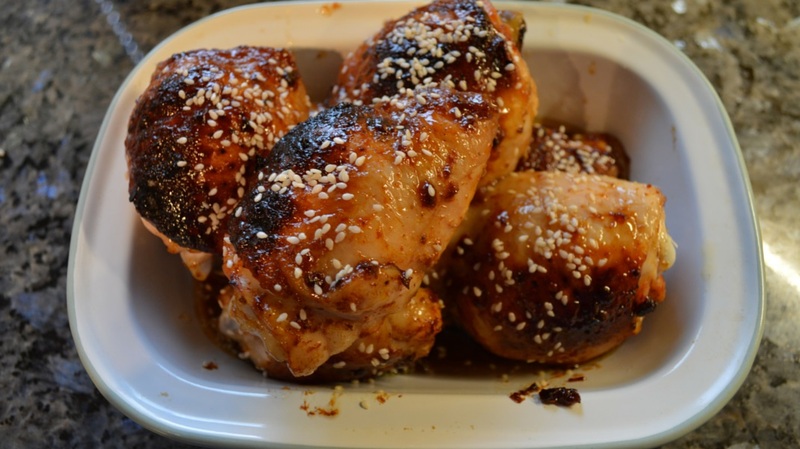 You could use chicken drumsticks as well if you prefer to pick them up and dig in!